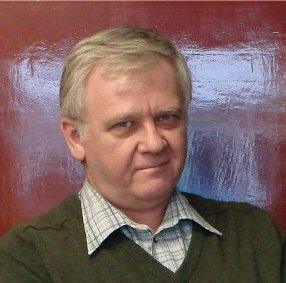 I am familiar with author H. K. Hillman (Dr. Kevin) from his previous role as one of two editors for the quality AlienSkin Magazine, which unfortunately went on hiatus two years ago after a very long and popular run. I also enjoy H. K. Hillman’s entertaining blog as Dr. Dume. 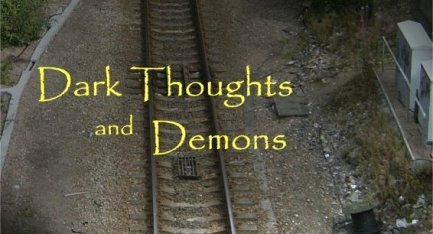 So I had high expectations with his book titled Dark Thoughts and Demons. Fortunately, this book meets and even exceeds my high expectations. 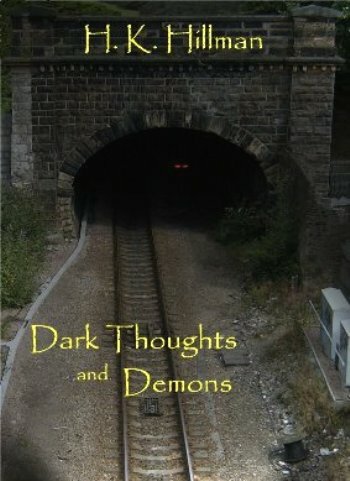 Dark Thoughts and Demons is a short book of eleven stories and one poem. At only 112 pages, it is a quick read. However, sometimes there is that idea of quality over quantity and that applies in this case. Another plus is consistency. This is not a book where one tale is great and another is poor. This is a book where all of the stories are excellent. I liken Hillman’s tales to The Twilight Zone; fascinating stories that all contain unexpected twists at the end. That does not mean I don’t have favorites, which I do. At the top of the list of my favorites is “The Life of Water.” This is an original, clever story. Hillman gradually brings up the suspense in a masterful manner, and he has the talent to make the reader believe in the unbelievable. “The Life of Water” is a marvelous tale of a man who cannot get caught in the rain, because there are creatures that thrive in the wet. “The Life of Water” would make a memorable episode of The Twilight Zone. That is probably the highest praise I can give. The next favorite is titled “In Another Life.” I would not call this one merely clever, I would call it brilliant. Jerry has found proof of reincarnation. Much to his dismay, instead of setting the world free from worry, it creates a lot of legal problems. For example, suddenly the meaning of “consecutive life terms” for criminals takes on new meaning. What if you committed murder in a previous life, and were sentenced to that? Well, legally it means you have to continue the sentence in your new life. “In Another Life” is not just a story. It is a new look at old issues. It is a preview into antiquated laws and situations that don’t change despite the pace of today’s rapidly changing technology. “In Another Life” raises ethical and practical questions alike. Something interesting in this book is the circular arc of some characters and towns. Different members of the family Blackthorn make appearances more than once in different stories and so does the town of Marchway. Now that I have praised Dark Thoughts and Demons to the mountaintops, I cannot say that it is perfect. If I have any complaints, the first one would be the length of the book. I would wish it to be longer, mostly because Hillman’s wondrously good writing should be savored, not devoured. The second compliant would be that there are very few female protagonists (three), and two of those three are extremely unlikeable and the third is weak and makes poor decisions. But perhaps that is because, being a strong woman myself (and hopefully a likeable one), I notice these sorts of things. But all in all, H. K. Hillman is an exceptional writer who possesses exceptional ideas. This is a very good book. I highly recommend it. Dr. Kevin Hillman is a rogue scientist and writer who normally appears online as anyone but himself. His multiple personalities include the sensible and restrained Gutbugs and the sensible but volatile Romulus Crowe, as well as the militant Leg-iron and the utterly deranged Phineas Dume. That last incarnation wrote articles for the greatly missed AlienSkin magazine and takes the credit for most of the stories. Kevin's short stories have appeared in From The Asylum, AlienSkin, and other online venues. 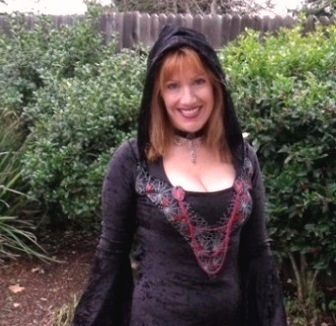 His first novel, Jessica's Trap, was released by Damnation Books in 2011. Fame beckons, although fortune remains sadly elusive. 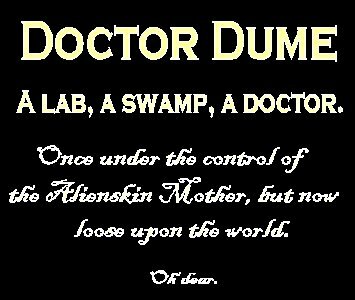 Dr. Dume was once under the control of the AlienSkin mother, but now he is loose upon the world. You can visit Dr. Dume HERE.